A highly stable scanning tunneling microscope measures the electrical properties of a metal on a scale smaller than individual atoms. A gentle touch. 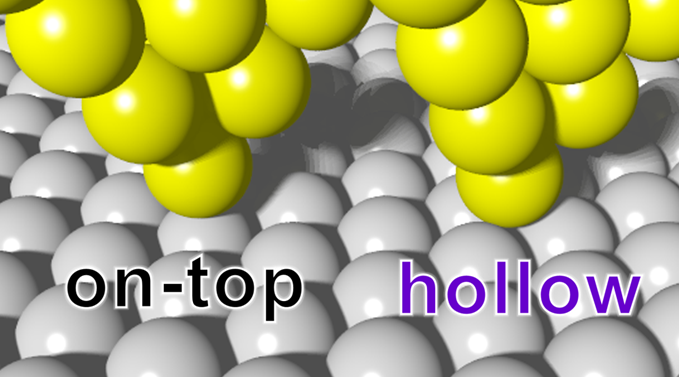 The needle-like tip of a scanning tunneling microscope (STM) terminates in a single atom that can touch a surface at different locations, such as on top of an atom (left) or in the “hollow” between three atoms (right). A highly stable STM that touches the surface without damaging it can measure the differences in electrical conductance among several different types of sites. 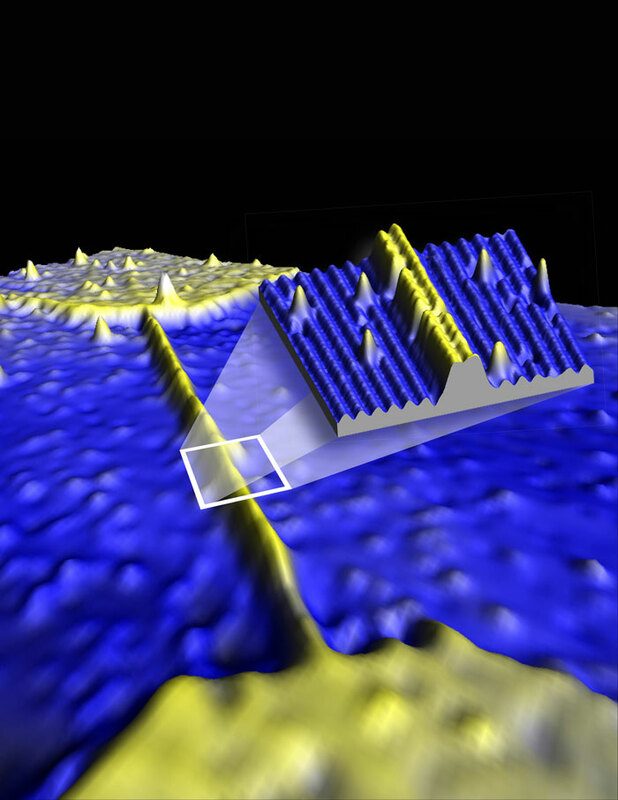 A scanning tunneling microscope (STM) can make an image of individual atoms on a surface or move single atoms around. Now researchers have pushed the device’s precision and used it to measure the differences in electrical conductance between different locations around a single atom on a lead surface. The results could help elucidate the properties of metals and superconductors and might one day find use in nanotechnology fabrication. As silicon electronics approaches the atomic scale, interconnects and circuitry become comparable in size to the active device components. Maintaining low electrical resistivity at this scale is challenging because of the presence of conﬁning surfaces and interfaces. We report on the fabrication of wires in silicon—only one atom tall and four atoms wide—with exceptionally low resistivity (~0.3 milliohm-centimeters) and the current-carrying capabilities of copper. By embedding phosphorus atoms within a silicon crystal with an average spacing of less than 1 nanometer, we achieved a diameter-independent resistivity, which demonstrates ohmic scaling to the atomic limit. Atomistic tight-binding calculations conﬁrm the metallicity of these atomic-scale wires, which pave the way for single-atom device architectures for both classical and quantum information processing….